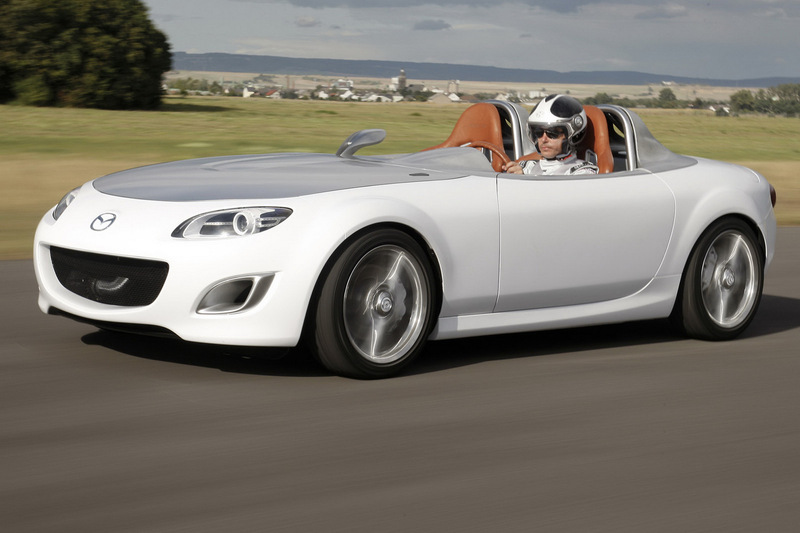 Mazda unveiled a new Roadster concept at the 2009 Frankfurt motor show. Named the "Superlight" it was a stripped out speedster with some unique styling cues. Most notably the windscreen was removed completely and an extended rollbar cover added to give the car a very low and sleek appearance. 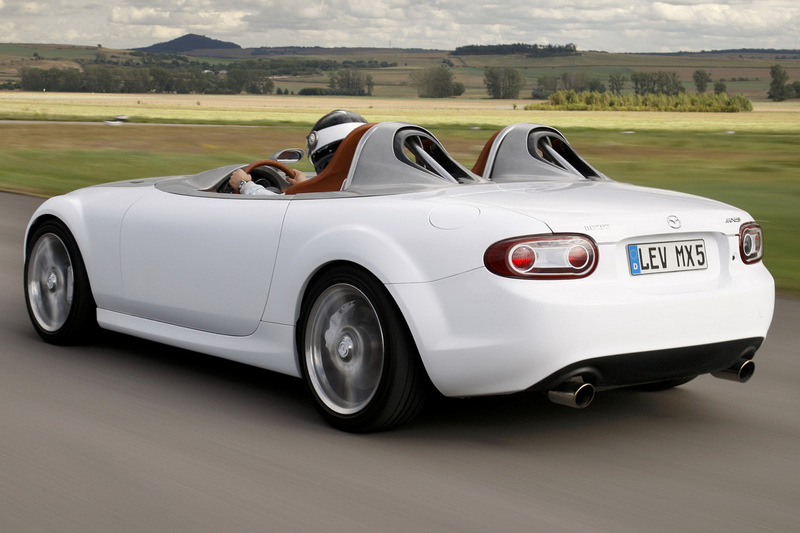 Based on a standard 5-speed 125bhp 1.8 model, the concept is a lesson in how to add performance by taking away. 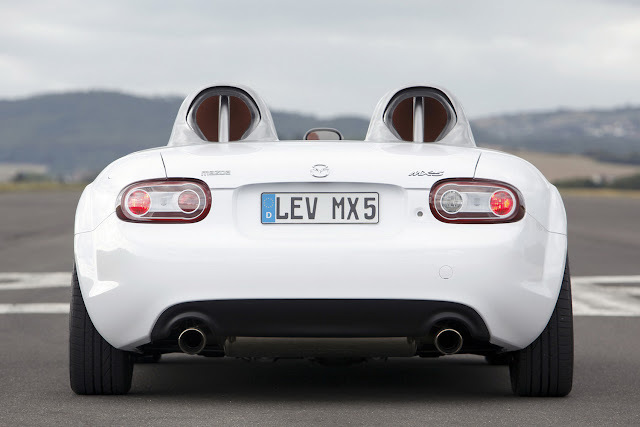 Mazda's engineers took their gram strategy to a whole new level and managed to reduce the car's weight to just 995kg, on par with the original 1989 NA Roadster. Reducing weight results in gains to acceleration and fuel economy, though it can be hard work decided what can be removed and what is needed to still provide an engaging driving experience. When the concept was unveiled many people questioned the use of the lower power 1.8, but of course it's to do with weight savings and beginning with the lowest spec car and thus lowest starting weight. The donor car's interior was completely removed, and even the doors were gutted. There are no windows, and therefore no electric window motors or switches. There are no exterior door handles, opening the door is achieved via a leather pull on the inside. There are no carpets or sound deadening materials inside. The removal of the windscreen means there is no need for a heater unit so all of that was removed. So what exactly do you get? 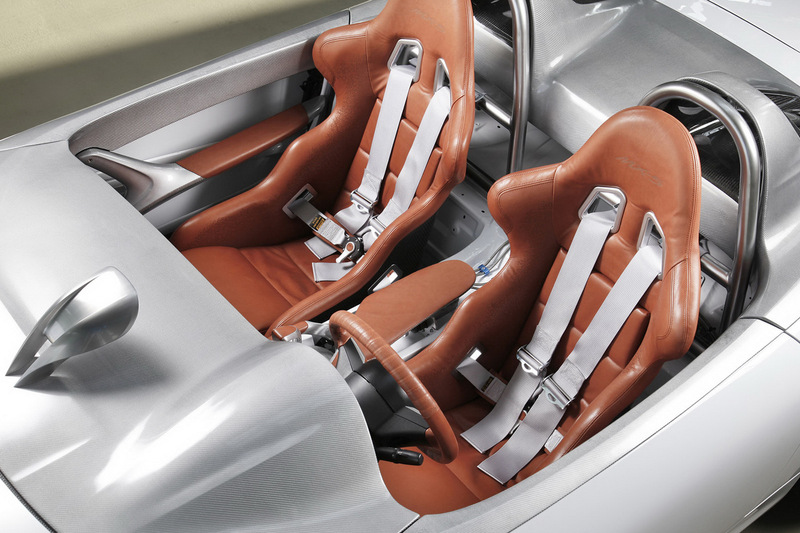 Well there are some unique carbon and tan leather interior panels to match the carbon fibre racing seats finished in tan leather with four point racing harnesses. A push button start is fitted in the centre of the dash where the hazard switch would normally be, on either side of this there are switches for the fuel pump and ignition circuit. 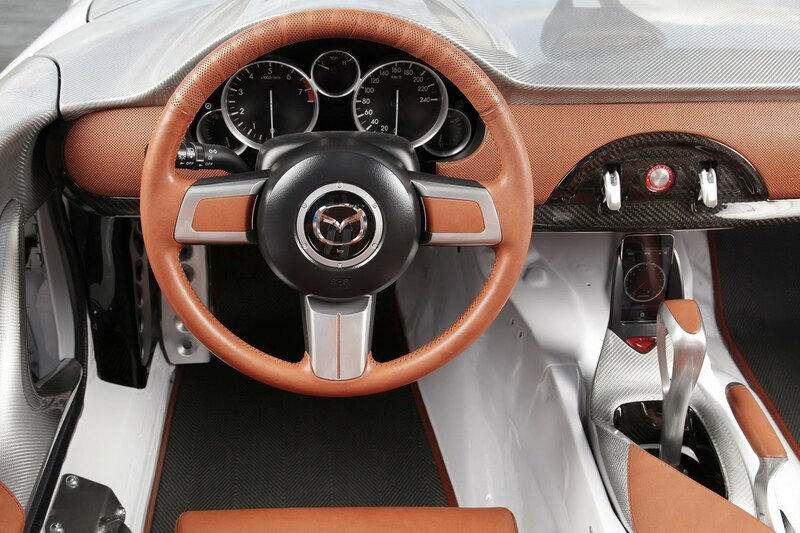 A one off exposed gearshift and handbrake design is surrounded by carbon fibre trim. In terms of entertainment, apart from driving the thing, you also get an iPod docking station, not that you could hear anything above the wind noise. 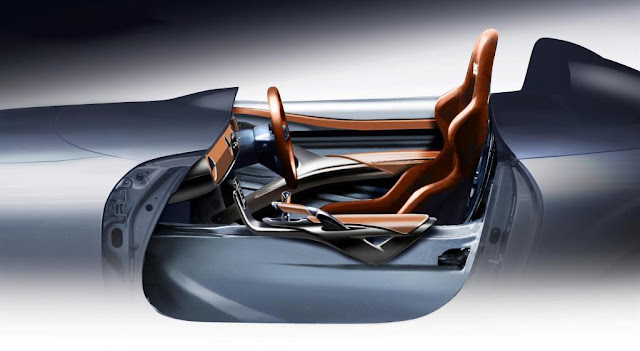 A carbon extension to the aluminium bonnet sits where the windscreen would be and incorporates the wing mirrors, central rear view mirror, and instrument cowl. The rollbar trim has additional LED brake lights. 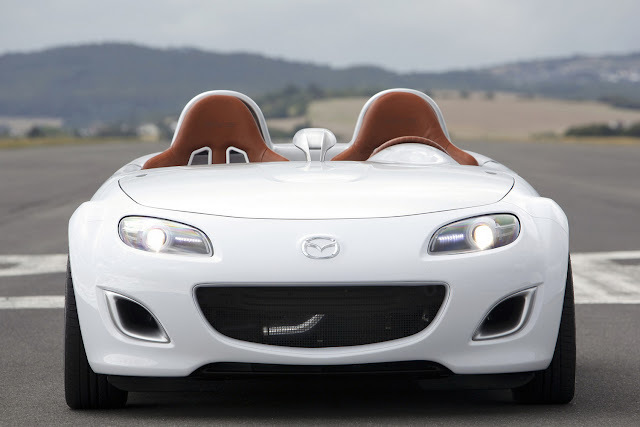 In terms of performance the concept includes the Mazdaspeed AEM induction kit which can be seen behind the front grille. 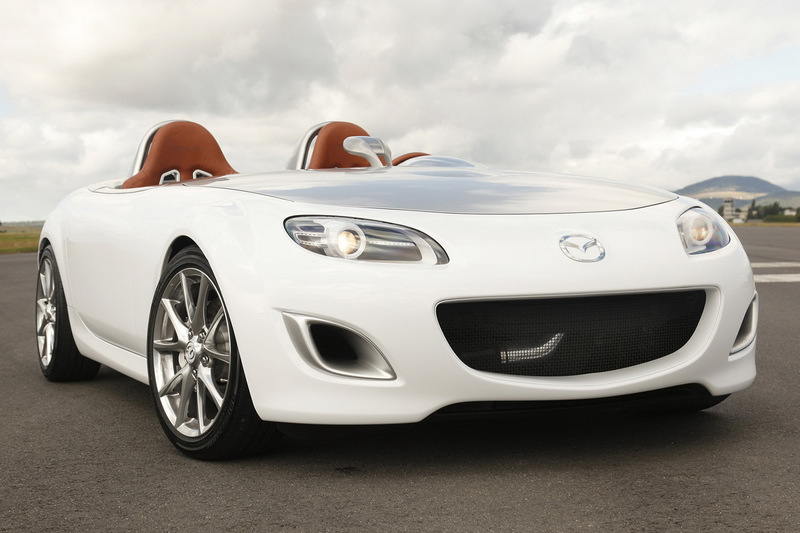 This is paired with the Mazdaspeed exhaust to create a sporty sound. The car sits on Bilstein suspension approximately 30mm lower than standard and is fitted with Eibach anti-roll bars for sharper handling. 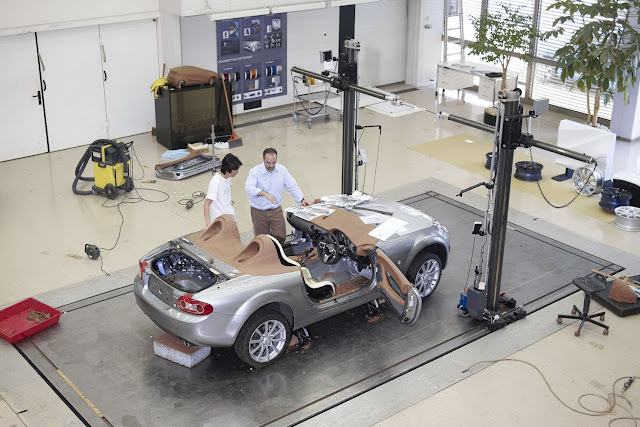 The Superlight is not intended for production but does give an insight into how much Mazda values weight reduction throughout their model range.